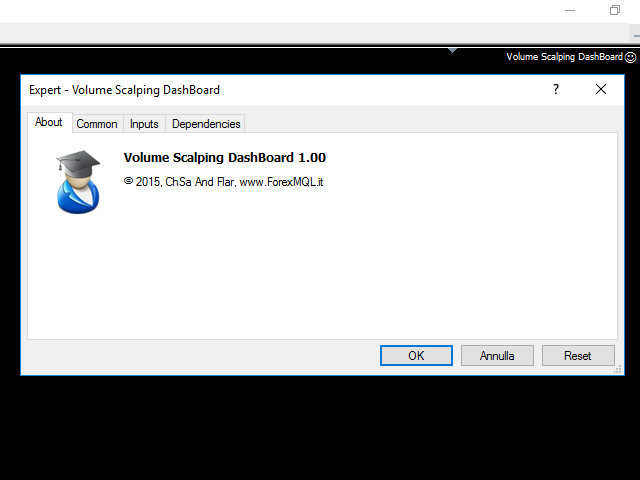 The Volume Scalping Dashboard is a new instrument very suitable for a short-term operation and very fast. 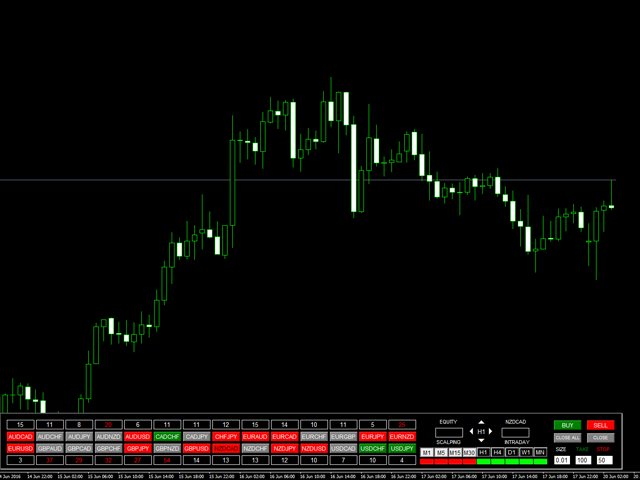 This Expert Advisor is designed to simplify the fast reading of the charts. The buttons with the currency names if clicked allow you to change graph quickly. There is the possibility to enter up to 28 symbols will be analyzed according to our calculation method. The expert is equipped with Automatic Stop loss and Take Profit in order to speed up the trading operations. It is also possible to change these values ​​in front of the panel so very fast. There are also automatic features breakeven and trailing stop and basketball management, these controls allow total freedom of movement. The method by which our Dashboard research opportunities is generated from tick volume of MetaTrader, it is completely customizable and it enable you to monitor from M1 to D1. 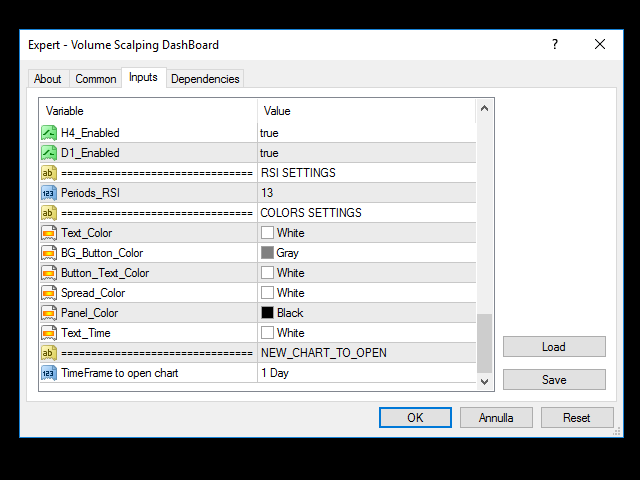 In input you can select the TF method to use for default. We advise you before taking a position to contextualize the signal. 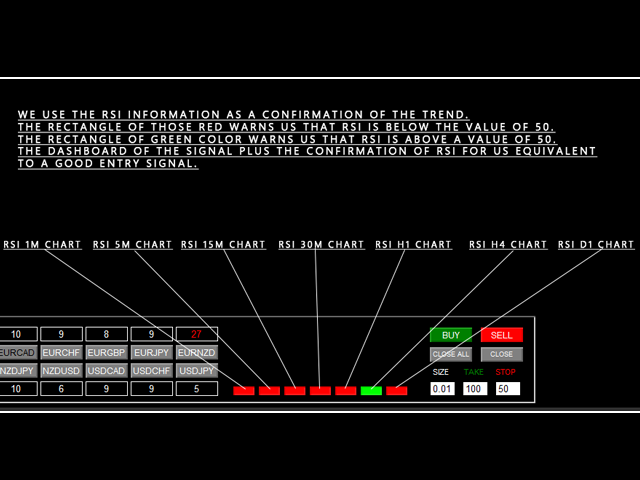 With this machine you can have more symbols market under control. We are confident that by using properly the Volume Scalping Dashboard will find good trading opportunities. Rented and demoing for now, but support is amazing. It looks as a perfect tool to confirm trades. Thank you so much! 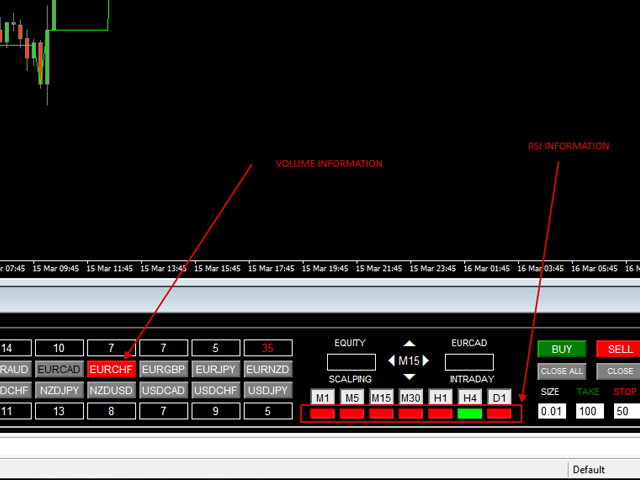 Added W1 and MN timeframes to Volume management. Added Button_Size to resolve problems on symbols with suffix.